Most processes for conductor paths are subtractive: metal is first applied over the entire surface and the excess metal is removed in further process steps. These classic processes, such as sputtering in a high vacuum and subsequent lithography, consume large amounts of silver. Teh new processes from INM go the other way round: Conductor tracks are printed or deposited only where they are needed. Expensive high-vacuum technology is not needed for this. This new additive process saves time and money," de Oliveira summarizes the advantages of the new developments. In another innovative process scientists use nanoparticle inks with TCOs such as indium tin oxide (ITO), for inkjet or gravure printing. First, nanoparticles with special properties are procudced from TCOs. The TCO ink is then produced by adding a solvent and a special binder. Not only does it ensure that the TCO nanoparticles adhere well to the film, it also increases the flexibility of the TCO coating: this ensures that the conductivity is maintained when the films are bent. 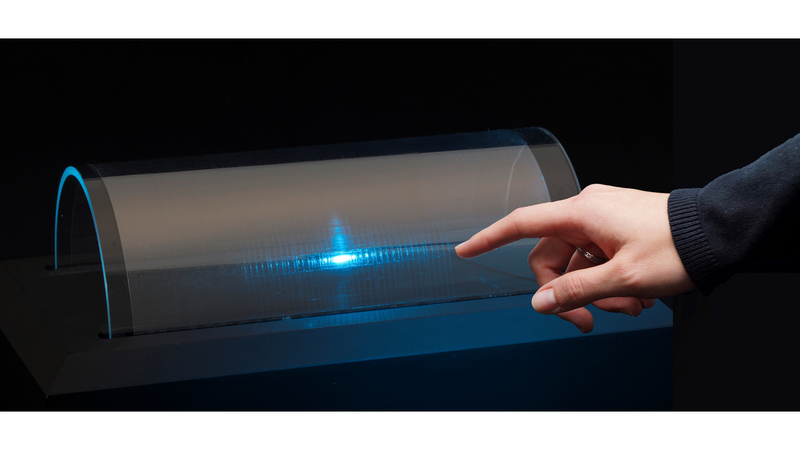 This makes it possible to produce highly flexible transparent conductor structures, for example for touch sensors or displays, in a simple printing process. The coating is functional after it has been cured at low temperatures below 130 degree Celsius with UV light.